Cami Roth Szirotnyak is the quality improvement manager at the Mental Health and Recovery Services Board of Lucas County, where she has reduced the costs of local government monitoring while increasing oversight, expanded research methodologies to evaluate impact, increased compliance with regulations, and a number of other achievements. Szirotnyak has been recognized at this position for developing its comprehensive Continuous Quality Improvement Plan as well as implementing a performance report- ing model during the renewal levy campaign. She also co-founded and chaired Lourdes Literati, which won the “Best Organization of the Year” award. 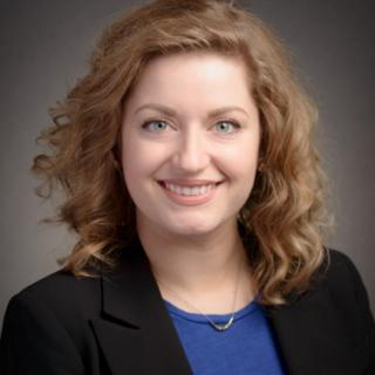 Szirotnyak earned her Master’s in public policy and administration from Northwestern University and a Lean Six Sigma Green Belt certification. Since graduating, she serves her community by being a co-chair of the quality and performance committee of the Toledo-Lucas County Homelessness Board, a member of the Zepf Center Safety Net Youth Shelter Advisory Committee, and a member of the Lucas County Health Assessment Committee.